Heart health is a topic that is covered in great detail, and there are many benefits in following heart-healthy living. Many aspects encompass heart health including blood pressure, yet a vast amount of Americans don’t fully understand what it is, or the numbers associated with it. The numbers relate to systolic—the top number —and diastolic, the bottom number. The causes of high blood pressure vary quite a bit and can be complex, it’s usually a result of poor lifestyle and nutrition choices. High blood pressure can be an effect of a highly processed diet chock full of sodium, a sedentary lifestyle, and smoking cigarettes. It is often referred to as the “silent killer” because it’s often symptomless and only discovered at a doctor’s appointment — which, for some, is few and far between. Even if you don’t suspect high blood pressure, it’s always a good idea to have it regularly checked. This can be as easy as going to your local grocery store, and using the one they have set up by the pharmacy. If you’re really ambitious, you can invest in and learn to use a sphygmomanometer — a blood pressure reader. Systolic blood pressure (the top number) is created when your heart pumps blood through your arteries, and the overall pressure it places on your blood vessels. A normal systolic range is 120 or slightly below, while an elevated reading is between 121 and 129. A high number — hypertension — is considered to be between 130 and 139. Diastolic blood pressure (the bottom number) is the pressure in the arteries when the heart rests between beats. This time-frame marks when the heart fills with blood and receives oxygen. Normal diastolic blood pressure should be lower than 80, while readings from 80 to 89 are considered high (hypertension). 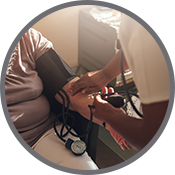 If your blood pressure tends to read moderate to high, you may want to consider making lifestyle changes, taking a supportive blood pressure supplement, or pursue foods that assist in healthy blood pressure regulation. There are natural ways to support your blood pressure and implementing them is a great place to start! Don’t lose heart! High blood pressure is something you’ll want to monitor, as it affects one in three people in the US, with only half of those people properly managing it. Dark chocolate – Yes, dark chocolate supports your blood pressure, but choosing the correct kind directly correlates to its benefits. Find a dark chocolate low in sugar, or better yet, sweetened with stevia! The percentage is also pivotal; choose one that is at least 80 percent cocoa. The beneficial part comes from the high flavonoid content of dark chocolate, that act as antioxidants. 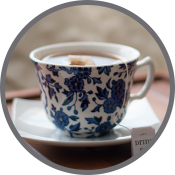 Hibiscus tea – Similar to dark chocolate, this tea boasts a high antioxidant content that helps balance blood pressure levels. Pomegranate juice – A lot of clever marketing has been done for pomegranate juice, but the notoriety is well deserved. Besides ranking as one of the healthiest juices on the planet, it supports healthy blood pressure levels as well. 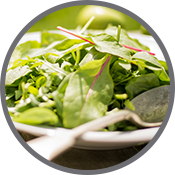 Spinach – This green superfood is beneficial for blood pressure due to its inflammation-fighting properties. The antioxidants support inflammation balance, and as a result, the blood pressure is also positively affected. What makes these foods special in balancing blood pressure? There is a unique biochemical action of each food that aids in blood pressure support, but there are also many general properties that positively affect it. The foods listed above all carry high antioxidant properties. Antioxidants are wonderful for fighting and protecting against free radicals; the unstable molecules you don’t want floating around. A high-fiber diet also helps advocate healthy blood pressure, and coriander, beets, celery, and pistachios all help support this diet. Vitamin K is also found in most of these foods, and it is one of the best vitamins in supporting heart health. Nitrates often get a bad rap when talking about deli meats, but are only an issue when they’re converted to nitrosamines that are carcinogenic. Nitrates from fruits and vegetables have been a great ally to balancing and protecting blood pressure levels. To keep from over consuming nitrates, steer clear from highly-processed foods and stick to ones that are alkaline — think dark leafy greens and colorful vegetables. The hormone Adiponectin, found in pistachios, is a beautiful compound for balancing blood pressure in the body and can widely be found in other healthy fats and vegetables. Olive oil doesn’t contain this hormone, but it helps increase the levels found in the blood without increasing inflammation. Pistachios and sesame oil are also known for their endothelial support. People with conditions that affect the lining of their inner blood vessels have what is referred to as endothelial dysfunction. Consuming these foods can help increase antioxidants while supporting the strengthening of the lining of blood vessels and healthy cholesterol levels. When you receive the news that you have high blood pressure, it can be overwhelming — it’s hard to know when to start. It always helps to do some research and figure out what changes to make that will fit your lifestyle while accomplishing your goals. If you’re a sedentary person, consider getting more movement in throughout your day. You don’t have to train for a marathon, but start with small changes. Take a walk on your lunch break and when you shop park farther away and walk the extra distance. You can also opt in taking the stairs or try an activity you‘ve always wanted. The idea is to get moving and work past being sedentary. 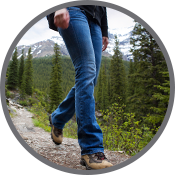 The more movement you get, the more it supports in normalizing your blood pressure. Another thing to consider is reading labels at the grocery store, especially when buying packaged foods. Always check the sodium content, as well as fiber and get plenty of potassium. It’s important to bring up the ideas of white coat syndrome and masked hypertension. White coat syndrome occurs at the doctor’s office when your blood pressure is abnormally high as a result of being nervous around the “white coat.” Masked hypertension is the opposite in that it reads higher at home than at the doctor’s office. The occurrence of masked hypertension is 16 times greater than white coat syndrome and affects more men than women. If you’ve experienced this or concerned that you are, consider talking with your doctor about 24-hour monitoring to get the most accurate and realistic reading. If you want to support healthy blood pressure, try one of our formulas that is chock full of antioxidants. 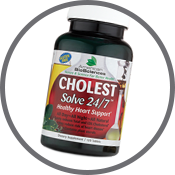 CHOLESTSolve 24/7 contains all-natural ingredients that will help support heart health.